SOLUTION: Develop creative, memorable promotional materials for each play and place posters and postcards around DC. We invested time to read and research each play to understand the themes. Then we created many print pieces and web banners with the same concept, imagery, and copy. 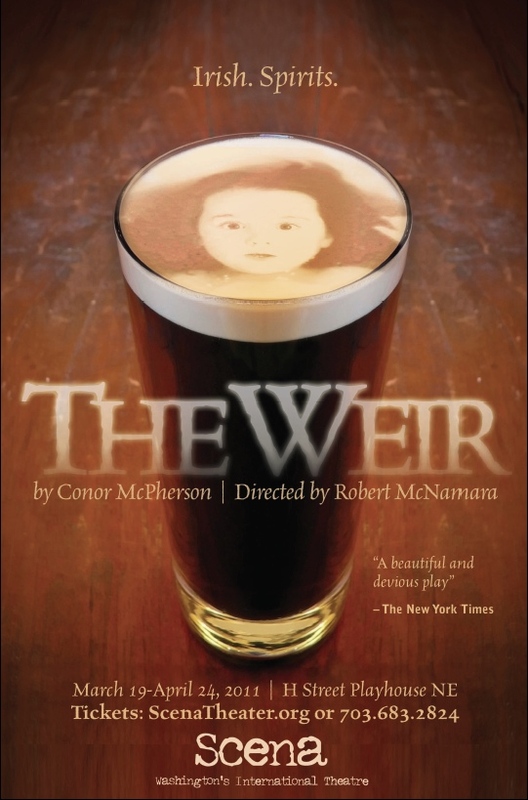 EXECUTION: The Weir by acclaimed Irish playwright Conor McPherson is about Dubliners telling Irish ghost stories while drinking in a country pub. We succinctly captured the spirit of this play in a dramatic and memorable way. One particular story in the play entails the events surrounding the drowning of a young girl. So, we retouched a little girl’s ghostly image in the foam of a pint of Guinness.